Achievement for All Children will provide students at Southside Ashpole Elementary with three sets of uniforms to start the 2018/2019 school year. There is no cost to families for the initial 3 uniforms. 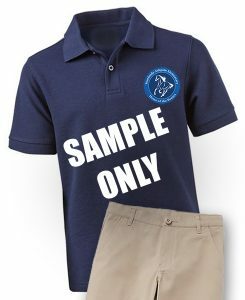 School uniforms will consist of a blue polo top with the Southside Ashpole logo on the left chest and khaki bottoms. Additional uniforms and future uniform purchases will be the responsibility of the families. 607 S. Martin Luther King, Jr. St. Families are invited to come by the school to have their students fitted for uniforms and to place orders (again, there is no cost to families for the initial 3 uniforms). Uniforms will be delivered to homes at no charge.